In this fast-paced, quick-reaction game, the snake is very hungry and you need to feed him. 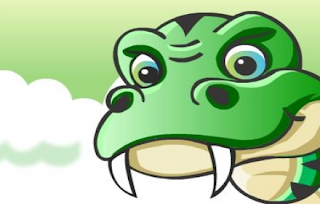 The snake needs to gobble up all the balls to grow in this fun and addicting game. Collect and eat as many blue and green balls as you can to see your snake grow bigger and bigger. The green balls are time-limited, so try to eat them first. Avoid hitting walls as that will knock out the snake and end the game. Happy gobbling!